ICCRF’s ASEAN Illustrastion Award is honored to have five distinguished judges to choose the best illustrations. Our judges are all highly respected experts in the children’s books industry. Anes is professor of child studies at Wonkwang university in Korea. She has bachelor’s degree in child studies and master’s degree in history. Anes holds PhD degree in child studies from Seoul National University. Her research covers from developmental psychology and literary education for children. Nowadays, she is trying to establish a theoretical basis for psychological impact of reading on children. She is working on the relationship between story and illustration, their influence on language learning. Anes wrote several books on early childhood development and translated books including The Rough Guide to Children's Books 0-5, 5-11 by Nicholas Tucker and The Cost of Living by Arudhati Roy. At present she started her new book on the use of picture books for early childhood education. She is actively working in academic societies. 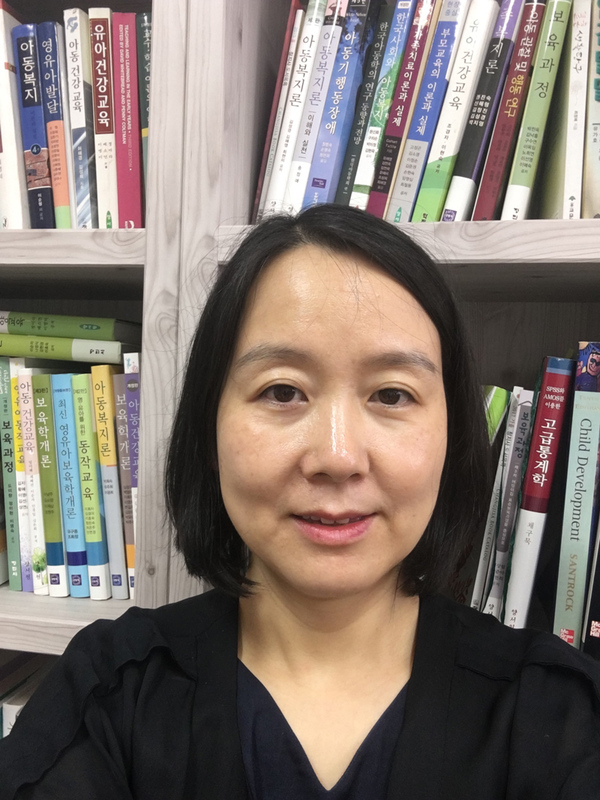 At present, she serves on the executive board member for The Korean Association of Child Studies, The Korean Association of Human Development, and The Korean Association of Childcare and Education. She is participating in the making policies for children with central government and local authorities. Anes is a member of executive board for child policy committee in Ministry of Health and Welfare. She is also working for Jeonbuk Support Center for Childcare as a member of management committee. For more than 20 years, Anes reads children’s picturebooks and teaches and writes about them. According to her research, reading picture book is essential element for early childhood development. She is still trying to find best picturebooks for education, especially for early childhood development. Anders Lindholm is one of Scandinavia’s most innovative artists. His work spans multiple genres but it is for his children’s book illustrations, beloved by young inquiring minds everywhere, that he is best known. Anders received his graphic design education at Beckmans School of Design in Advertising and Graphic Design in Stockholm, Sweden. 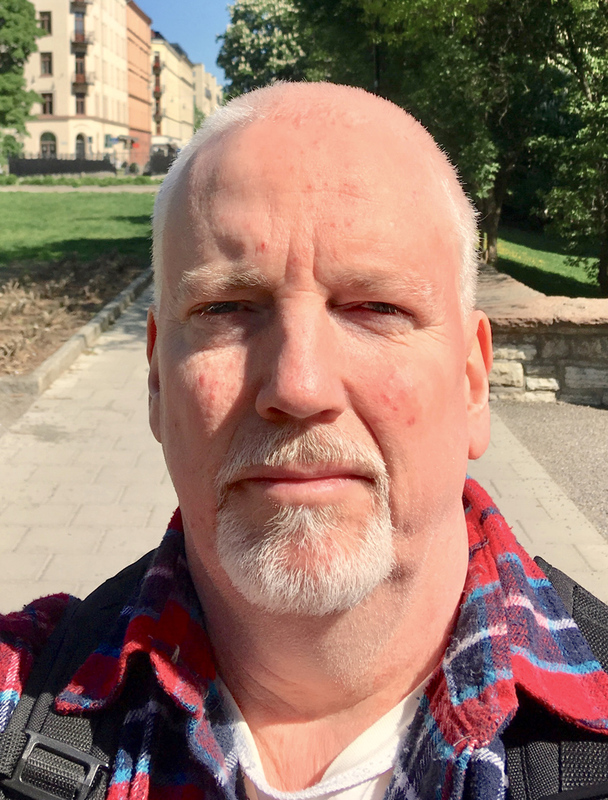 His eclectic approach and love of the arts has provided a wide range of experiences; from creating his own Graphic Design Studio to working at his alma mater as a professor in Illustration. His passion for educating and giving back continued at Bergs School of Communication, Konstfack University College of Arts, Craft and Design and finally at Forsbergs Skola, one of Sweden’s most prestigious design schools. Anders has been nominated three years in a row for European Illustration. His work is highlighted in the Swedish Illustration Book and European Design Annual Print. His creativity has attracted the attention of Pan Books UK, where he delivered book covers for the noted author Gabriel Garcia Marquez. The biggest challenge and the most recent project, “This Is Idby” (www.idby.co.uk), now contains 16 different titles and is rapidly going global. Idby is already published in Sweden, Thailand and China and 16 more books are planned. On top of the demanding rigours of illustrating a complete universe, Anders is working on creating scaled wooden models of the Idby lands and busy designing games and interactive digital content to bring this wonderful reality to the hearts and minds of the world’s freshest minds. Keiko has been familiar with painting and reading books since she was young, and she was longing for children's book artists from that time. After studying graphic design at the Kuwasawa Design Institute, she became an assistant of Mr. Ikko Tanaka, art director, and was able to meet many creators of the front line. After retirement, Keiko devoted herself to raising children, played with two young children and enjoyed the picture books. The experiences of this time became the base of the later picture book making. In 1984, she made a debut with a picture book "The day when a baby was born" depicting the impression of childbirth. She draw pictures and wrote texts. Including works of illustration only, more than 50 titles have been published to date. Her picture books are translated and published in Korea, China, Taiwan and Vietnam. Since 2005, she has organized a series of peace picture books in collaboration with 12 picture book authors in Japan, China and Korea. In 2011, "What is peace ?” was published jointly by the three countries. 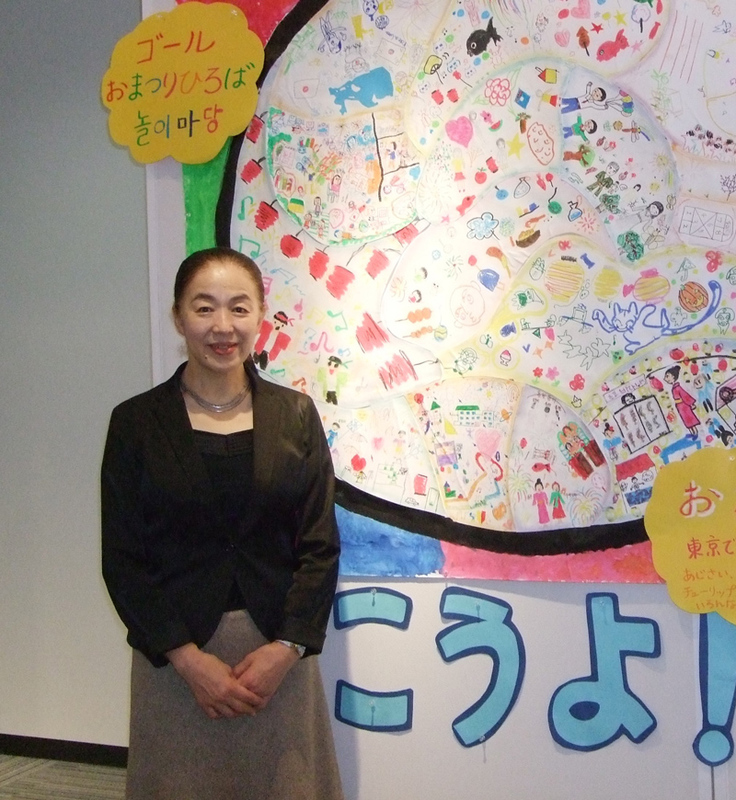 Keiko has also made many lectures on "picture books" for librarians, teachers, nurseries, volunteers for reading promotion movement, and elementary school students. Also, she is currently doing activities to deepen exchange through children's picture books with domestic and overseas children. 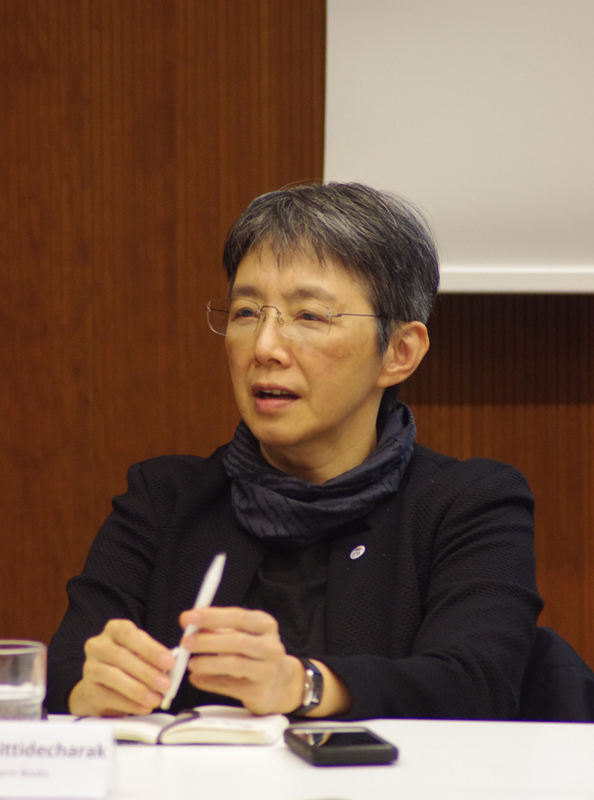 As of 2018, she is a director of the Japan Children's Book Artists Society (2006-2009 Chairman), member of "Children's Book Committee" in Japan P.E.N Club, and member of the Japan Writers Association. Associate professor Krirk Yoonpun, a children’s literature professor at Srinakharinwirot University, illustrator and author of children book. In 1982, he received NOMA award in Japan. 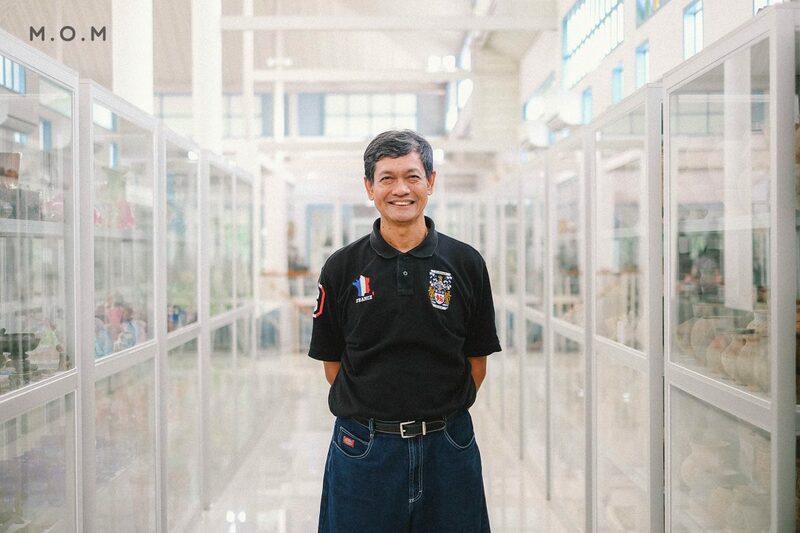 It was this award that gave him an opportunity to visit Kitahara Tin Toy Museum in Japan, resulting in an inspiration to open toy museum in Thailand. He, then, started collecting toys. After that, “Million Toy Museum by Krirk Yoonpun” was founded, for those in later generations to witness these toys and their change through time. Trasvin Jittidecharak is a native of Chiang Mai, where her parents owned one of the oldest and finest bookstores in Chiang Mai. In 1991, Trasvin founded Silkworm Books, a general independent publisher of English-language books on Thailand and Southeast Asia. Silkworm Books has a reputation among Thai scholars and academics for editorial quality. Between 1985-1994, Trasvin was a resource person in book design and publishing for organizations at both national and regional levels, as well as a judge for a number of national publication design competitions. She also founded a children magazine, was involved with a story-telling group, and has illustrated a number of books. Since 1989, she has been actively supporting adherence to copyrights law in Thailand. Trasvin was an advisor to the board of The Publishers and Booksellers Association of Thailand (PUBAT) from July 2009 to June 2015. She chaired the Organizing Committee of the 30th International Publisher’s Association (IPA) Congress, Bangkok in 2015. She served as Executive Committee of the International Publishers Association for two terms, 2012–2014 and 2015–2017. She is also a member of the International Publishers Association’s Freedom to Publish Committee for 2017–2019.